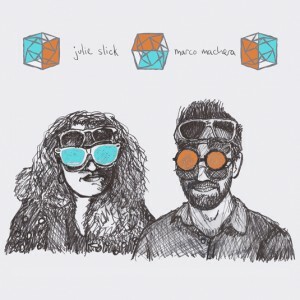 Having met through the Three of a Perfect Pair Music Camp in 2011, bassists Julie Slick and Marco Machera started collaborating in April 2014, when Julie flew to Italy after her Crimson ProjeKCt European tour, to play a short run of shows in Tuscany. The rehearsal went very well, and very spontaneously, some brand new songs were written and in turn, played to some very appreciative Italian audiences. The impromptu ‘bass duets’ ended up being so satisfying and well-received that Julie and Marco eventually decided to write more material together and record an album, “Fourth Dementia” (July 2014). The project reinvents the role of electric bass and brilliantly displays the songwriting abilities of the duo; a captivating combination of loop music, ambient soundscapes and interlocking bass patterns, always melodic yet aggressive and edgy at times. On this very special album release tour, the duo will be joined by legendary drummer Pat Mastelotto (King Crimson, Mr Mister, XTC, Stick Men, Chrysta Bell), and guitarist extraordinaire Tim Motzer (Ursula Rucker, David Sylvian, Markus Reuter, DJ King Britt, Burnt Friedman, Jaki Liebezeit, Kurt Rosenwinkel, Jamaaladeen Tacuma). Designer Dejha Ti will accompany the music with her stunning visuals that will surely render this a night not soon to forget (and certainly not be missed)! A six-piece psychedelic-technical explosion of sound and color. A wide range of strong emotions captured through sound … planned sections of improvisation combined with intricate composition. Sometimes mellow and pretty with vocal harmonies—sometimes heavy and ripping with guitars, drums and synths—always grooving. The Beardly Beast that will certainly move you ’til the end. 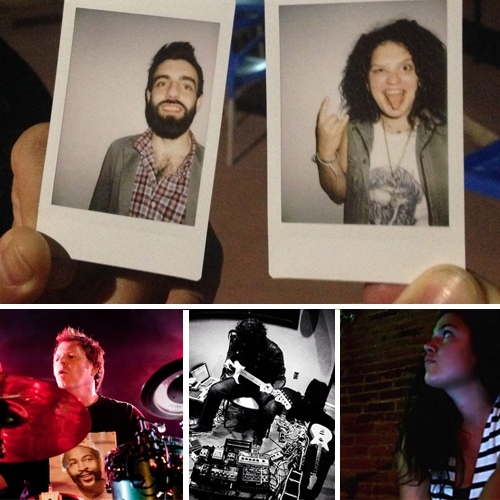 Out of the Beardspace is a six-piece experimental rock band from South Jersey. 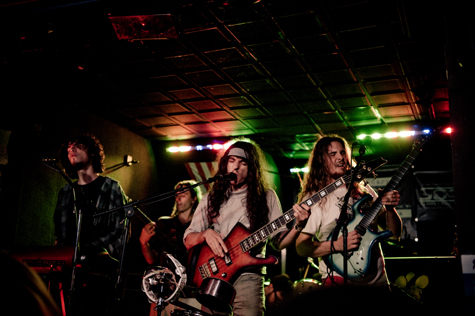 Since their formation in the summer of 2010,they have released two EPs and a full-length album, and played all over the Philadelphia/south Jersey area at venues such as the Trocadero, the Stone Pony, the North Star Bar, Underground Arts, and Legendary Dobbs. In the summer of 2011 they moved into a house in Cherry Hill, NJ together and, in the summer of 2012 they spent six months living on a mountain farm in Linden, Virginia growing their own food, living in tents, cooking every meal over an open fire, and practicing sustainable living. Out of the Beardspace has been its most active in 2013. They kicked off the warm season with their annual festival, ‘Beardfest,’ which was the most successful edition so far.